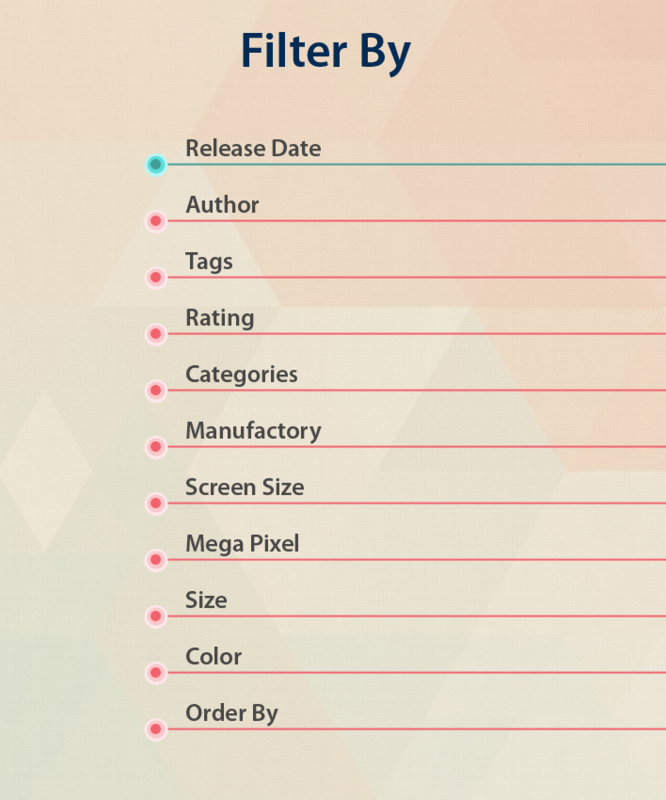 Filtering any criteria as keywords (author, tags, rating, categories...), users easily find and catch the items you want within several seconds that help saving a lot of time. 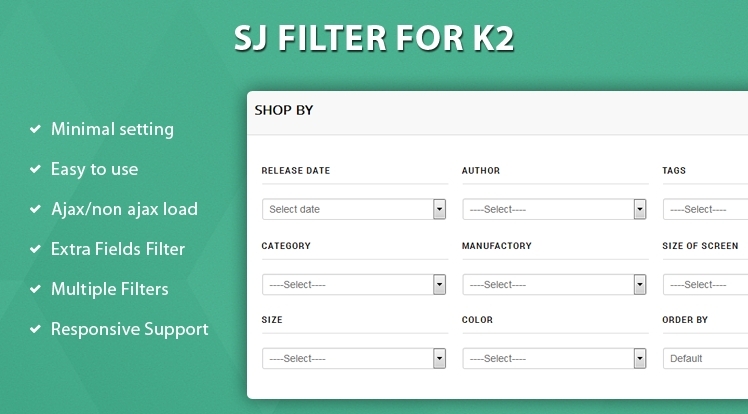 Joomla K2 Filter extension supports horizontal and vertical with 3 filter layouts for users choosing. 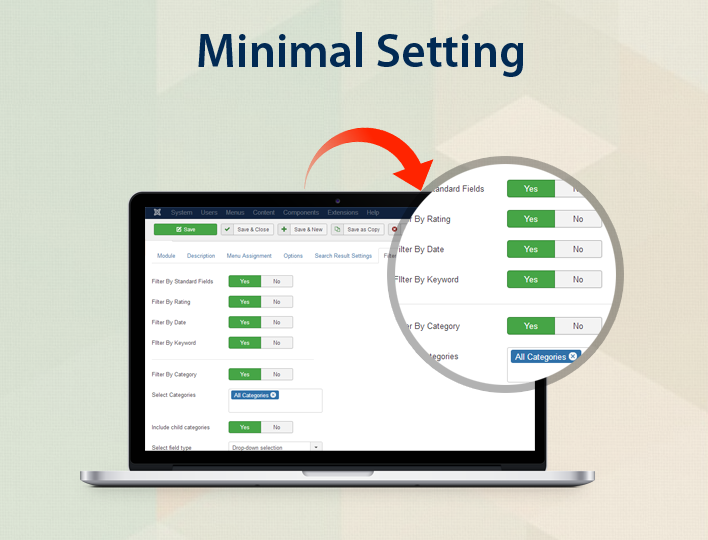 The filter Joomla module will filter and return the exact items according to the chosen fields. 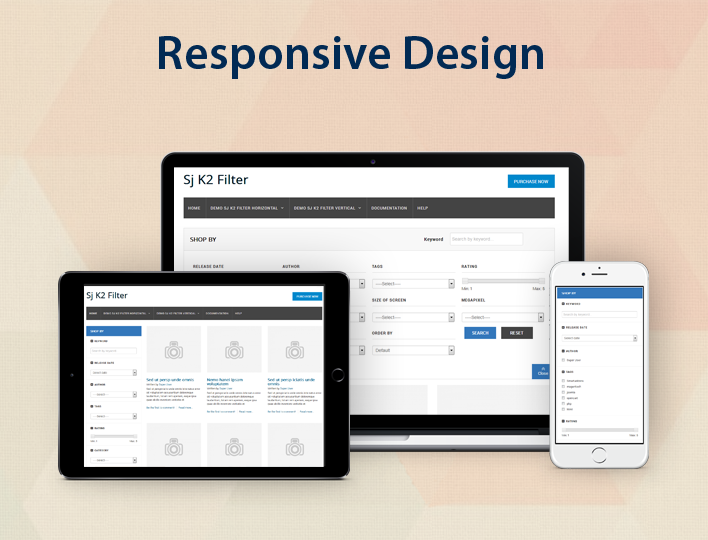 In addition, this Joomla module provides the filtering parameters according to time. It means that users can easily choose filter fields from date to date, or in a period time. 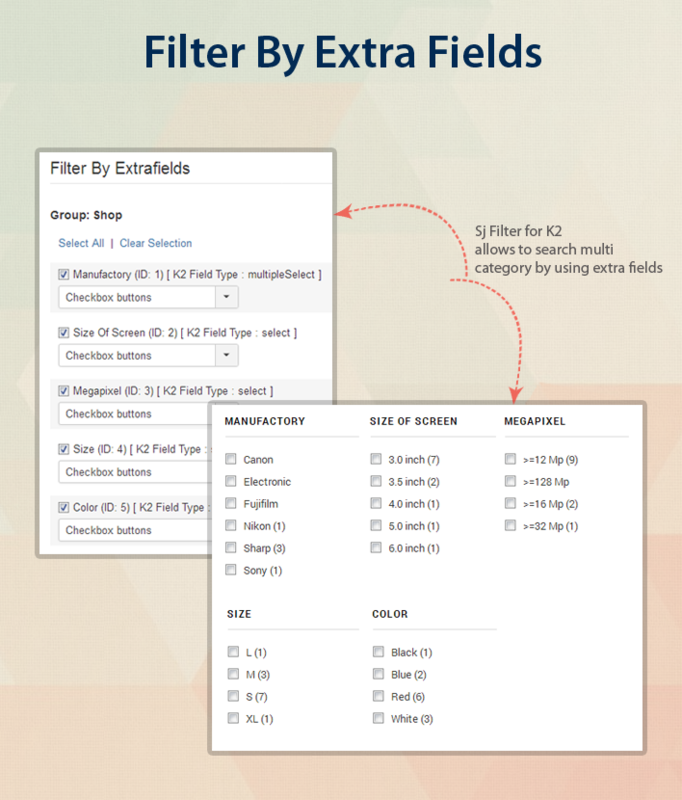 In the back-end panel, you can totally control any parameters from filter groups to filter fields to display. In addition, the module allows you to select the number of products for showing and set CSS selector for area results. 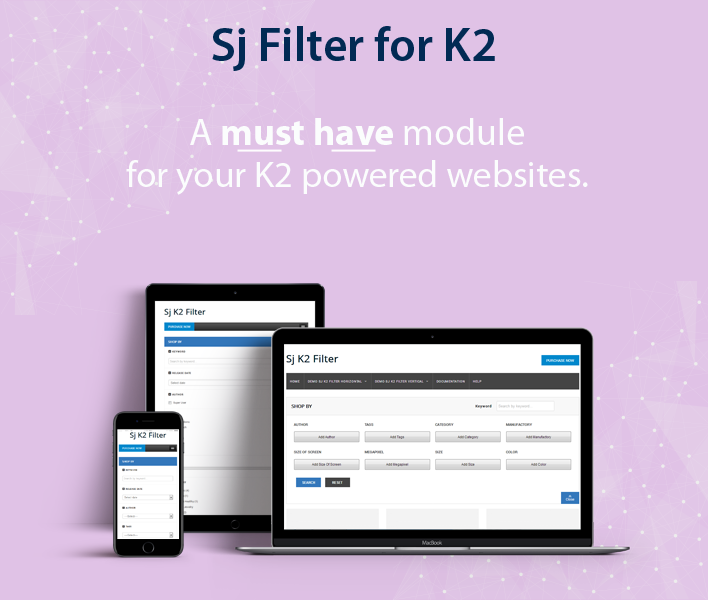 SJ Filter K2 extension supports all standard features of the core K2 component. Let's have a look at the Demo, surely you will love it! 16. Allow to set the number of columns that module will use. [+] Add param extra field. [+] Config to select extrafile type:radio => search function displays on font-end area.